@AM2DM is a Kacey Musgraves stan account now. It's Wednesday and Wilson Cruz is here! 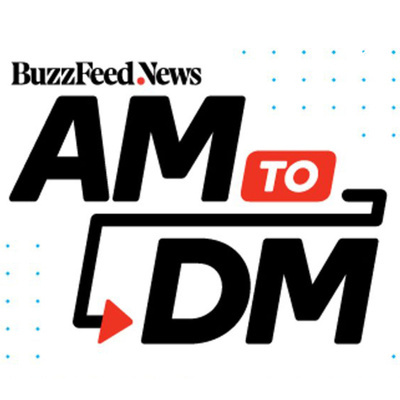 Airing live every day on BuzzFeed News via Twitter and on live.twitter.com/am2dm from 10-11am ET, AM to DM (@AM2DM) reimagines the traditional morning show format for the way young people consume news today. Hosted by Saeed Jones and Isaac Fitzgerald, AM to DM takes news and flips it on its head. Much like our Twitter timelines, AM to DM covers a wide range of news and social commentary, and has already featured newsmakers from the worlds of politics, entertainment and tech. 🚨SERENA WILLIAMS IS HERE🚨 Plus the cast of "The Chilling Adventures of Sabrina!" Whew what a day. 👀 on Michael Cohen's testimony today. Does Elon Musk know he doesn’t have to tweet? It's Tuesday, and Casey Wilson, Mo'Nique, and Rome Flynn are here! Good morning only to Oscar-winning black women & Olivia Colman. It's Monday and AJ Michalka is here! This has been the Black History Month from hell, but at least it's Friday! There is still one whole week left of Black History Month. It's Thursday and Anna Paquin is here! Burberry WYD??? It’s Wednesday and Jay Baruchel is here. Just another day in the "2016" election! RuPaul, how dare you? It's President's Day but #AM2DM is not sleeping in. Milk, Eggs, Declare a National Emergency... It's Friday and Angie Thomas & Keke Palmer are here! Love is dead. Happy Valentine’s Day from all of us at #AM2DM! The Academy has found a way to piss everyone off. It's Tuesday and André Holland is here! You're having a better morning than Will Smith. It's Monday and Cress Williams is here! There's something rotten in the commonwealth of Virginia. It's Thursday and Kyle MacLachlan is here! The state of our union is weird. It's Wednesday and we're talking #FuckFuckJerry, Venezuela, and more! Good Morning to Spongebob Squarepants only. It's Monday and Max Greenfield is here! All 👏🏿 Black 👏🏿 Hosts 👏🏿 All 👏🏿 Black 👏🏿 Guests 👏🏿 Welcome to #AM2DM’s Blackout Show! We didn't want to come to work in this cold, but DANIEL RADCLIFFE is here so, we all make sacrifices. Do rich people have nothing better to do than run for president? It's Wednesday and Sinqua Walls is here! We're too cold to come up with something funny to say. It's Tuesday and Nicole Scherzinger is here! It's Monday, the shutdown is finally over (for three weeks), and Angela Robinson is here! The FBI: Get Me Roger Stone. It's Friday and Marcia Gay Harden is here! Welcome to AM2DM by BuzzFeed News, or as I like to call her, AM2DM. It’s Thursday and Alysia Reiner & Ryan Eggold are here! The MAGA Teen's PR tour continues. It's Wednesday and Golden Brooks is here! Oscar noms are in and "Drunk History's" Amber Ruffin & Derek Waters are here! Cardi B says our country is in a hell hole. It’s Thursday and Sara Bareilles is here! The Shutdown will end when the Illuminati wants it to. It's Wednesday and Pete Holmes is here! Trump's wall (of cheeseburgers). It's Tuesday and Molly Ringwald is here! We hope the Egg doesn't Milkshake Duck. It's Monday and Haley Joel Osment is here! A man scammed by a fake sugar daddy can't report identity theft because of the shutdown. It's Friday and Lucy Hale is here! One possible side effect of the shutdown: Salmonella. It’s Thursday and Terry Crews is here! Tired: Inbox Zero; Wired: Inbox Infinity. It’s Wednesday and Lana Condor is here! The Fiji Water girl should host the Oscars. It's Monday and Margaret Cho is here! The L train shutdown may be off but the government shutdown is very much on. The government is still shut down and there's garbage in the streets (literally & figuratively). Welcome to 2019, and 2020! It's Wednesday and Will Roland is here. You can find us in 2019 being THE SAME. It's Thursday and Natalie Portman is here! Isaac can’t stop talking about “Spider-Verse” so we brought in Kimiko Glenn! Good Morning! Facebook let companies read your private messages. It's Wednesday, and Christian Siriano is here! We made it to Friday somehow, and Karen Gillan is here! The BuzzFeed NY holiday party was last night and we are tired. It's Thursday and we're trying our best. People are mad at Meghan Markle for... ???? It's Wednesday and Nico Tortorella is here! Al Roker, you keep cashing those checks. It's Tuesday and Nick Cannon is here! Unlike that chicken Oprah ate, #AM2DM is seasoned. We’re breaking down all the Mueller news and Tiny is here! Don't say it, don't say it, don't say it... it's Monday. Congrats on your new underwater home! It's Thursday and Jason Reitman and Peppermint are here. Sessions out and there are still somehow more days left in the week. Even the Empire State Building's not safe from being dragged on Twitter. Not sure if you guys knew, but there was an election last night. We're breaking down all the results, plus Jason Mantzoukas is here! Who run the world? You, because we live in a democracy so make sure you exercise your right to vote. Tide Pods are over. Welcome to the era of Tide Franzia. It's Monday and Eva Chen is here! Our prom pics were definitely embarrassing but at least they weren’t... this. We spent our extra hour listening to Ariana Grande on repeat. It's Monday and Leslie Grossman is here! There are people who don't like... drinking water? It's Thursday and Allen Leech is here! The latest on Pittsburgh, Brazil's election, and voter suppression. It's Monday, and Tika Sumpter is here. It's Tuesday, and GRITTY & OMARI HARDWICK ARE HERE! The spookiest Halloween tale: the events of 2018. It's Wednesday and the cast of "Outlander" is here! We see you Tamron Hall. It's Friday and Ricki Lake is here! We've got the latest news on the explosive devices. It's Thursday and we're talking with Gina Ortiz Jones & Charlie Cox. In the news today: Racism. It's Tuesday and Janet Montgomery is here! We think we have the dopest job. It's Tuesday and Malcolm-Jamal Warner & Joel Edgerton are here! The Chilling Adventures of #AM2DM. It's Monday and Kiernan Shipka & Jada Pinkett Smith are here! Pete and Ariana are done, Jared hasn’t paid taxes, and it’s Monday! Every week is the new longest week of the year. Alfonso Ribeiro and JD Pardo are here! It's Thursday and *officially* cover your mouth season. Also, Adam Pally and Stephanie March are here! Humpday and the livin's easy (or not). Busy Philipps is HERE and we're freaking out. It only Tuesday. Jon Batiste is here, and we're talking about al surprise from Solange! We need to talk about Kanye. It’s FRIDAY and Marcus Scribner is here! It's the future I can see: Raven-Symoné will be on #AM2DM this morning. This is MY son, he can't go on dates because he is a live morning show streaming on Twitter. Our brains are fried this morning, and we wish it was fried-ay. But the cast of "Riverdale" is here! In the words of Taylor Swift, please educate yourself on the candidates running in your state and vote based on who most closely represents your values. The FBI might not be talking about The Blackout Theory, but we are. It's Thursday and Debra Messing is here! Bette Midler, WYD?? It's Friday, and we are tired, but Tiffani Theissen is here! Trump has a shady tax history and the Times is on it. It's October 3rd (and real fans know what that means)! Raise your hand if you also had to google UB40. It's Tuesday and Jameela Jamil is here! Good Morning to everyone except people who throw gender reveal parties. It's Monday and Steve Aoki AND Tom Morello are here! We've never been happier to TGIF, and we hope you're all doing okay. Good Morning to everyone who didn't sleep last night! We've got lots of coverage & analysis of today's hearings, plus Remy Ma, Papoose, & Jeffrey Wright are here. In honor of Will Smith, we're...not going skydiving. It's Wednesday and Jason George is here! #AM2DM turns one year old today! We got a cake and a hellish news cycle. Plus D'Arcy Carden & Hank Green are here! Isaac & Saeed are back and we need some kind of news cycle alert system. It’s Monday and Tracey Ullman is here. Happy Fur-iday! We've got cats on the show this morning for a purr-fect end to the week. Plus Eric Holder and Sarayu Blue are here. It's Thursday and we're sitting for a conversation with Botham Jean's mother, Allison. Plus, Chrissy Teigen & Jose Antonio Vargas stop by to hang out. The BuzzFeed newsroom thrives on leaks. It's Wednesday and Snooki is here! You'll never play Mario Kart again. It's Tuesday, and Soledad O'Brien is here! It's Monday and we're talking about Christine Blasey Ford's story & what it means for Kavanaugh. Happy Friday! We don't have the Weather Channel's graphics, but we do have Peter Dinklage. New Yorkers: VOTE! Everyone else: it's Thursday, and Katie Lowes is here! Trump says he got an A+ in hurricane class. 3000 people died in PR. It's Wednesday and Shannon Purser is here. NY Primary is becoming a real schmear campaign. It's Tuesday and Vivica A. Fox is here! #JusticeForSerena. It's Monday, and Cynthia Nixon is here. Breakfast is served: RJ Mitte is here! It's Friday and Alex Jones has been banned from Twitter. 🚨🚨🚨 Whew... that op-ed. It's Thursday and NOAH CENTINEO IS HERE. Not a lot of news today, except for all the news. It's Wednesday and DeRay Mckesson is here! Some people cut a rug, others cut their Nike socks. It's Tuesday, and Nik Dodani is here! It's Friday and to celebrate we have PUPPIES on #AM2DM today!!! By land, by sea, or by air: men continue to be trash. It's Thursday, and Chris Coy is here! "Will take heat for this" but people shouldn't defend sexual harassers. It's Wednesday and Dav Pilkey is here! A hug from you would be very nice. It's Tuesday, and we're talking with Tom Perez and Jacqueline Woodson. Is this the real life? Is this just fantasy? Is this a new episode of #AM2DM? Politics on a morning show? Groundbreaking. It's Friday and Giuliana Rancic and Bowen Yang are here! Bruno, the lazy & high maintenance thicc cat, finds a forever home! He joins us live with his parents. You get a guilty plea! You get a guilty verdict! It's somehow only Wednesday! Protestors at UNC tear down a Confederate statue known as "Silent Sam." It's Tuesday and Estelle is here. Kim & Kanye walk into a wedding... It's Monday, and we've got the latest on Don McGahn's Mueller testimony. Remembering Aretha Franklin. It's Friday and Regina Hall is here. #ShareYourRejections! It's Thursday, and Thomas Page McBee is here. You don't have to sign an NDA to watch this. It's Wednesday and we're talking about Nicki Minaj, Paul Manafort, and our favorite giant shark. Azealia's weekend at Elon's, and we have questions. It's Tuesday, and Ronny Chieng is here! We have a situation in the Situation Room. It's Monday and Jenny Han & Lana Condor are here! Issa Rae and Steve Madden are here, plus Emma González & #MarchForOurLives Activists! It's FRIDAY. Everyone in Washington has a mixtape. It's Thursday and John David Washington and Laura Harrier are here! Gina Rodriguez is here! Also, Rick Gates did crimes and we make the case for a Vogue cover with Isaac Fitzgerald. Kim K.'s response to Beyoncé's Vogue Cover did not go as planned. It's Tuesday, and Guy Branum is here! Happy Beyoncé September Issue Day! It's Monday, and Natasha Lyonne & Danielle Brooks are here. TGIF, let's talk about racism. Also, Jerry O'Connell is here! If we had $15K, we'd buy a much cuter jacket than Paul Manafort's... It's Thursday, and Rachel Zoe is here! It's the first day of August, which means it's almost Christmas. Also, Chloe x Halle are here! Ocean's 3: The Great Shark Heist. It's Tuesday and Simon Rich is here! Shame bad tippers! It's Monday and OINTB's Dascha Polanco is here. Operation Get Saeed Boo'd Up starts now. It's Friday, and Kelly Macdonald is here! Put on your tin foil hat, 23andMe is partnering with GlaxoSmithKline. It’s Thursday, and we’re talking with Rep. Joe Kennedy! Everything is terrible, except for John Cho who is very handsome and joins us live this morning! Good dog is perfect, did nothing wrong. It's Tuesday and Michael Arceneaux is here! Happy Shark Week! The President is celebrating by threatening Iran on Twitter. We welcome any and all ancient curses: open the sarcophagus. It's FINALLY Friday. You know what's cool? *Not* a billion Holocaust deniers. It's Thursday and Jim Gaffigan is here! Living in NYC on a salary of outrage and tears. It's Wednesday and Niecy Nash is here! Siri, what is treason? It's somehow only Tuesday, and Joel McHale is here! Replace everyone in the world with Muppets, keep Rihanna. It's Monday, and we've got the latest on the Trump/Putin Summit. Avoiding hoaxes during breaking news, #PermitPatty and gentrification, and Rob Reiner is here. What Justice Kennedy's retirement means for reproductive rights, the midterms, and our sanity. Our #WCW definitely has BDE. Do you? Plus, the big upset in the NY primary. What people in Mexico wish Americans knew about the border, another Scott Pruitt ethics scandal, and Rep. Ro Khanna IRL. Trying to reunite separated families, press access to detention centers, and Rep. Pramila Jayapal joins us. It's been a week, y'all. Trump reverses his administration's separation of families, but there are still a lot of unanswered questions. Kirstjen Nielsen will not eat Mexican food in peace. Also, “Pod Save America” host Dan Pfeiffer is here. Kids are being separated from their parents, and the White House both defends and denies it. Going APES**T over Beyoncé & Jay-Z, AND the fact that Jada Pinkett Smith is here IRL!